Synopsis: I met someone who changed everything. Matthias. My autistic sister's guardian angel. Honest. Inspiring. Funny. Hot. And immortal. That was the problem. What could I do? I did what any other girl would do-I fell in love with him. Zoë's sister darts in front of cars. Her brother's a pothead. Her parents are so overwhelmed; they don't see Zoë lost in her broken life. Zoë escapes the only way she knows how: partying. Matthias, a guardian sent from Heaven, watches over Zoë's autistic sister. After Zoë is convinced he's legit, angel and lost girl come together in a love that changes destiny. But Heaven on Earth can't last forever. I looked for this book online hoping it was stocked in any Barnes&Noble or Borders in the area but of course it wasn't. So I waited. 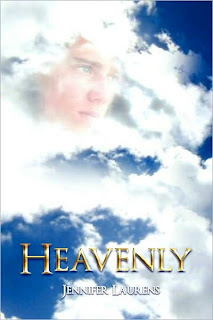 Then when I needed more to read, I started reading reviews for "Heavenly" and then I found the trailer (click here to watch it) and I was sold. I immediately ordered "Heavenly" and its sequel "Penitence" online. Our story starts off with Zoe. An eighteen year old senior, who has an autistic sister, pothead brother, and a drinking problem herself. Not to mention parents who give all their attention to her autistic sister Abria. After almost losing Abria one day, Zoe meets Matthias, who happens to be her sister's perfect guardian angel. Zoe starts to love having Mattias around, but it doesn't stop her from having major issues in her life. One being falling in love with an angel. But, are angels aloud to love you back? I loved Zoe. I can so personally relate to her. My brother used to be a lot like her brother and I can see exactly how she felt sometimes through out the book. I also loved Matthias. Oh I am team Matthias 100%. He is hot (blonde hair, crystal blue eyes...helllllo?! ), caring, smart, not to mention a guardian angel! How can you not love him? I also really liked Luke.. I thought his character added a lot to the book. I didn't really care for Britt too much. Though, I think she helped Zoe learn a few lessons. And Chase is adorable, I'm curious to see his part in the upcoming books. This book was oh so very good. It tells you follow your heart and believe in yourself. To always look out for your family, because no matter what, they do love you. That finding that one perfect love can give you the extra push you're always looking for in life. That not all people can be trusted and you need to be careful. Along with so many other things. 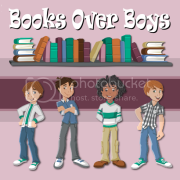 I adored this book. I have the sequel "Penitence" sitting right next to me and I can't wait to get started. I need more Matthias! haha :) Defiantly 5 stars. I would order this one if I were you! Sounds like a lovely story. Angels are getting really big right now, aren't they? Great review!